One (or more) Sentence Summary: Email-azing! Holly's Inbox: Scandal in the City is absolutely HILARIOUS! I couldn't get enough or read it fast enough. I love the format of telling a story through email. My very first Meg Cabot that I read was in email too - The Boy Next Door. This is 100% chick lit and I LOVED IT! Even though it is a stand alone book, you must read Holly's Inbox first - merely for the enjoyment! I also think the second book will make more sense (all the underlying comments) if you read Holly's Inbox first! Favorite Character(s): Of course Holly is my favorite, but I have to mention Grandma too. She was too funny. There could be a separate book just on the emails between Holly and Grandma. I also have to say….Ron emailing for Holly's brother….roll on the ground laughing. Fast read/slow read: SUPER fast! What Others Are Saying: You can see what others are saying at Holly's website, including comments from Jill Mansell, NBC News, New York Post, Ok Magazine and more. Would I Read Other Books by the Author: Absolutely! 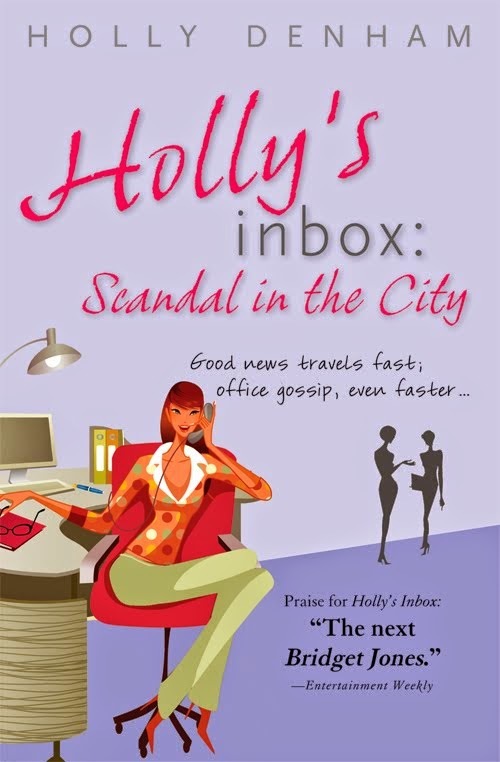 I loved Holly's Inbox and was so excited when I stumbled upon Holly's Inbox: Scandal in the City. Please, please write more! Holly Denham is the pen name for Bill Surie, the owner of a placement service for receptionists and secretaries in London. He started the Holly's Inbox website as a place to serialize his first novel, and it became an overnight sensation. He lives in Maida Vale, England.